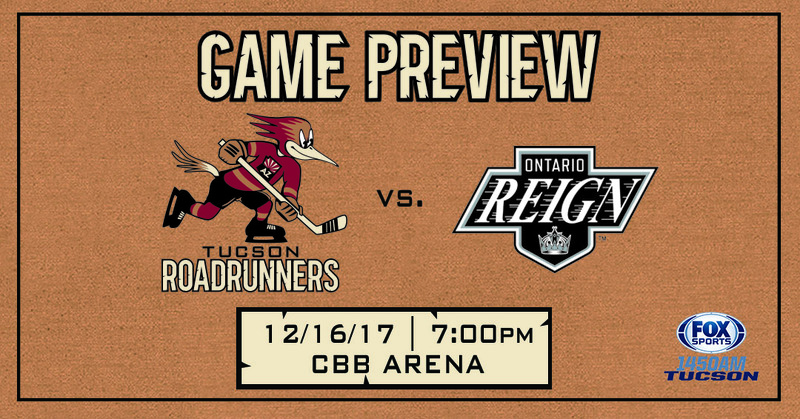 REIGN ON THE ROAD: Tonight marks the third of eight meetings with the Reign this season, and the first of the Roadrunners’ four scheduled visits to Ontario’s Citizens Business Bank Arena. The Roadrunners are playing the only of a one-game road trip; they’re coming off of a 5-2 loss to the San Jose Barracuda Wednesday night. The Reign are playing the second of a three-game home stand; they’re coming off of a 4-3 overtime win over the Stockton Heat Friday night. BUNTING’S BOILING: Michael Bunting enters the night with points in each of the team’s last six games, totaling eight (3G, 5A) during that span. With a point tonight, Bunting would tie the franchise record for points in consecutive games, set by Brendan Perlini, Christian Fischer, Kyle Wood, and Dylan Strome. Bunting has three points (3A) in the club’s two games against the Reign this season. Confidence, grease, and cashing in without complacency. 27's been getting some work done. HOT AT HOME: After dropping their first two home games of the season, the Reign have earned points in six of their last seven contests played at Citizens Business Bank Arena, posting a 5-1-0-1 record. The Roadrunners enter the evening with a 4-2-1-1 record away from home. PROJECTED LINEUP: The team did not hold a morning skate ahead of tonight’s game. Per club policy, specifics regarding the team’s lineup will not be published until 5:00 PM this evening. TREVOR’S ON TRACK: Trevor Cheek has a point in all four games played during the month of December, becoming a nice contributing factor on the team’s fourth line. He recorded an assist in has last outing against the Reign on December 3rd; can he provide depth support again tonight in Ontario? THE NEW GUYS: Goaltender Michael Leighton, who’s to wear #45, and forward Ryan Kujawinski, who’s to wear #17, are both meeting the team in Ontario for tonight’s game. It is unclear if either will dress tonight. Kujawinski, who was battling injuries early on in the season, recorded a goal and an assist in five games with the Binghamton Devils. The @ArizonaCoyotes have acquired forward Ryan Kujawinski from the @NJDevils in exchange for Michael Latta. 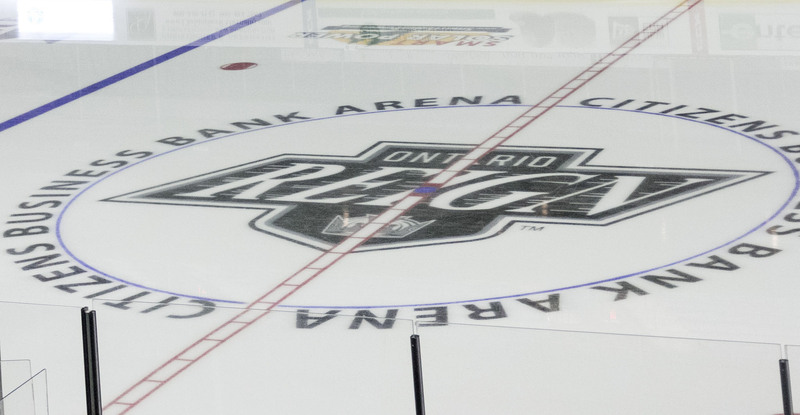 THE LAST TIME AROUND: In the team’s previous meeting on December 5 at Tucson Arena, the Roadrunners beat the Ontario Reign by a 5-2 score. Five different players scored for the Roadrunners, and 11 recorded at least one point. Adin Hill stopped 23 of 25 shots faced in the win. The Roadrunners are 1-1-0-0 in two meetings with the Reign this season. MR. 1,600: Roadrunners head equipment manager Eric Bechtol will be working in his 1,600th professional game tonight. Congratulations, “E”!